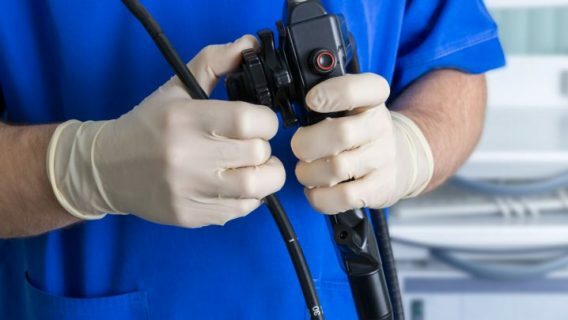 More than 70 percent of medical scopes cleared for use in patients tested positive for potentially harmful bacteria, a new study found. The study looked at reusable scopes at three major U.S. hospitals. Researchers found nearly three-quarters were contaminated. The bacteria found weren’t superbugs. But the study’s authors did not rule out the high probability of patient infection. Authors of the study noted at least five safety issues. Hospital technicians wore the same gloves when handling dirty scopes just after a procedure and later. After scopes were disinfected, employees wiped them dry with reused towels. Cabinets where the scopes were stored were noticeably dirty. Wet scopes were hung to drip-dry. Cleaning cycle on a specialized “washing machine” for reprocessing was turned off to save time. American Journal of infection Control published results of the study in March 2018. The new study concluded inadequate cleaning (reprocessing) of the scopes and poor drying contributed to the harboring of bacteria. Just one of the three hospitals met the guidelines for properly cleaning and disinfecting the reusable scopes. But that didn’t limit the germs. 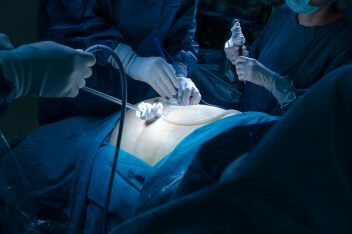 Nearly two-thirds (62 percent) of the scopes at the top-performing hospital tested positive for potentially harmful bacteria. The lower-performing hospitals fared much worse at 85 percent and 92 percent. The study did not name the hospitals. All three knew they were being watched. “These are very complicated pieces of equipment, and even when hospitals do everything right we still have a risk,” Janet Haas said. Duodenoscope maker Olympus made all but two of the 45 endoscopes examined in the study. But the study wasn’t exclusive to duodenoscopes. 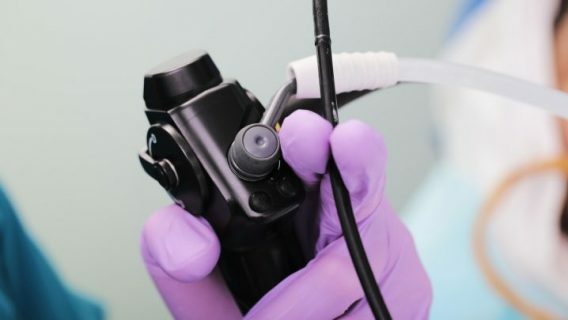 Researchers found fluid in about half of all endoscopes tested. This retained fluid led to significantly higher levels of patient debris left behind in the scopes. This isn’t the first time scopes have come under scrutiny. The FDA targeted three major duodenoscope makers in 2015 after several outbreaks. A duodenoscope is a type of flexible, lighted medical scope. Doctors thread it through the mouth, throat and stomach into the top of the small intestine, or the duodenum. They use this scope to diagnose and treat serious problems in the pancreas and bile ducts. The reusable scope is hard to clean. Its design makes it difficult to reach all the small nooks and crannies for proper sanitization before reuse. 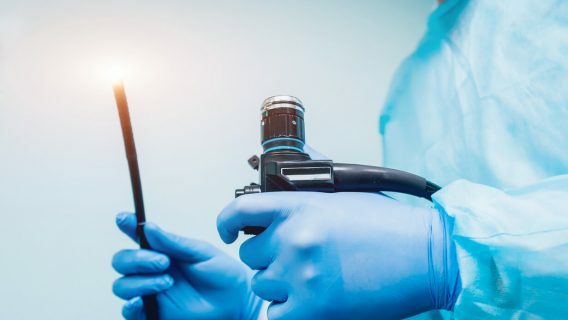 Duodenoscopes can become breeding grounds for bacteria. News broke in 2015 that the scopes caused the spread of antibiotic-resistant superbugs like CRE. Major cities including Los Angeles, Seattle and Chicago were among regions affected. CRE is problematic bacteria that can lead to death in up to half of the people it infects. It’s becoming more widespread, according to the Centers for Disease Control and Prevention. The hazardous bacteria infect about two million Americans each year. The FDA ordered U.S. scope manufacturers to conduct post-marketing studies to protect against patient infections. This included Olympus. Each study was to determine whether health care facilities could properly clean and disinfect the devices. 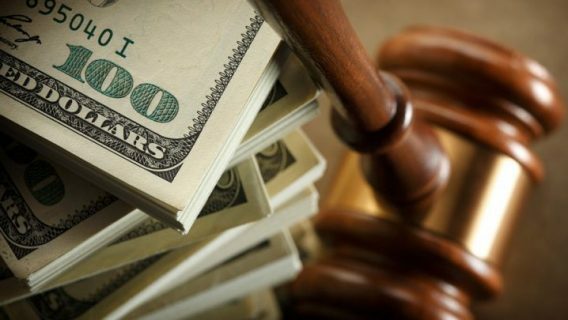 Olympus failed to comply with the FDA’s initial order in 2015. The federal agency issued a warning letter in March 2018.